Securing machines is always an on-going process whether it is by locking down settings, blocking applications, disabling Windows Services, making sure user privileges are kept to a minimum and so on. If we don’t then users will end up installing non-standard software, making changes to the system, malware doing more damage once getting compromised, etc. 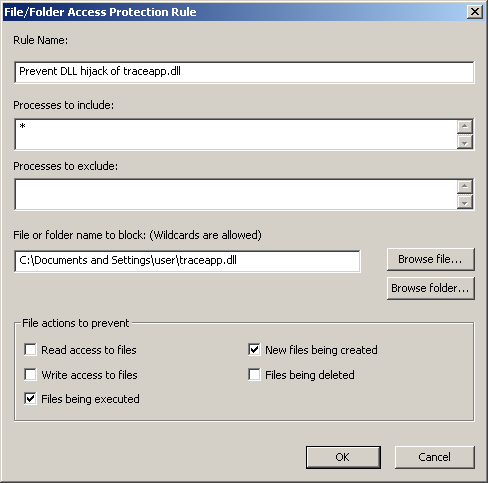 This post is about weaknesses in folder permissions leading to elevation of privilege by using DLL hijacking vulnerabilities in Windows Services. 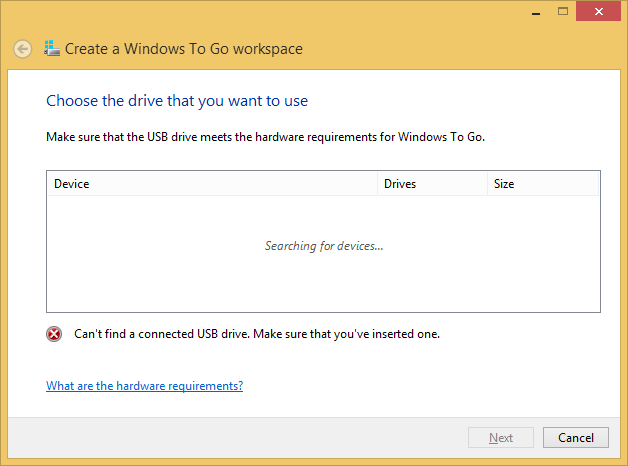 In Windows DLL search order the directories of the path environment variable are the last search it carries out starting with the system variable path and then the user variable path. Unless the application hasn’t used a fully qualified path name for its DLL it will try to find the DLL through the search order even with certain mitigations in place. 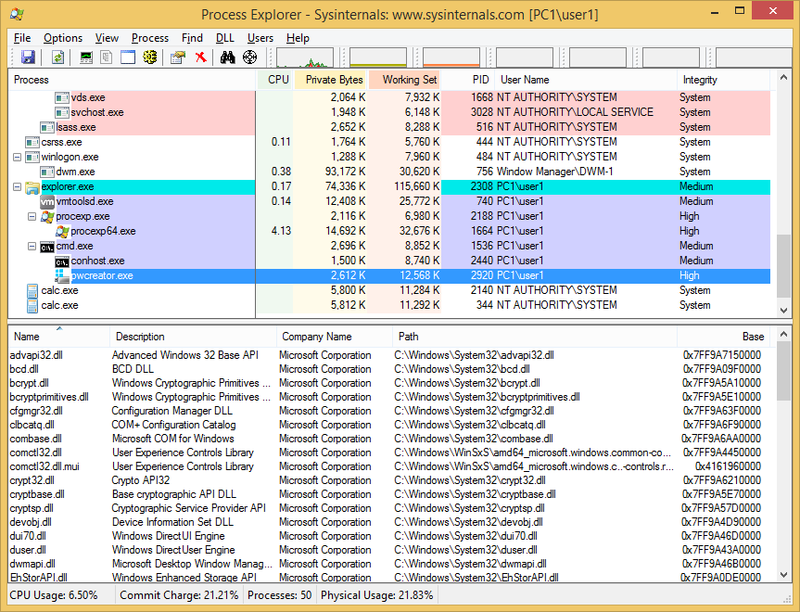 A quick way to find DLL hijacking vulnerabilities is to start Process Monitor, setup the relevant filtering and carry out some actions. Here we will be exploiting Windows Services as a large number of services run on SYSTEM privileges, just by stopping and starting the services and observing the search patterns. Keep in mind that Services running under SYSTEM does not search through user path environment. After stopping and starting Services a number of vulnerabilities had been discovered. 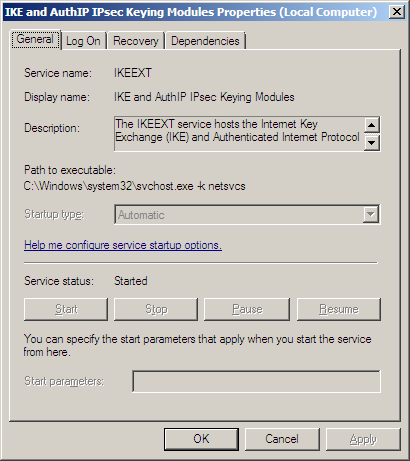 One Windows Service being the “IKE and AuthIP IPsec Keying Modules” This service is not started and set to manual by default but might be started or set to Automatic by VPN clients, policies, other Services, etc. For someone trying to obtain local admin rights starting Process Monitor will not be possible with limited permissions so let’s go through the steps if we didn’t have rights. In this example the IKE service is used but it can be any service for software that you may not have direct access to and need to audit. 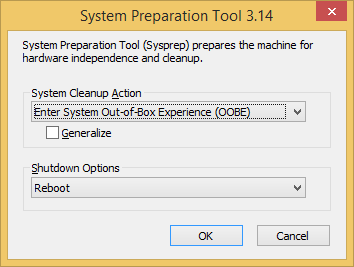 First let’s take note of the service executable through Windows Services (say services.msc via run command) checking to see if its status has started and running under localsystem. Note: It is not always as straight forward as in this example as the dll called might be using fully qualified path name but linked at compile time with another dll which will try to load this at load time which might be vulnerable due to being in another folder or not available. Lastly we search for the library wlbsctrl.dll on the system to see if it exists and if so take note as to where it is located. 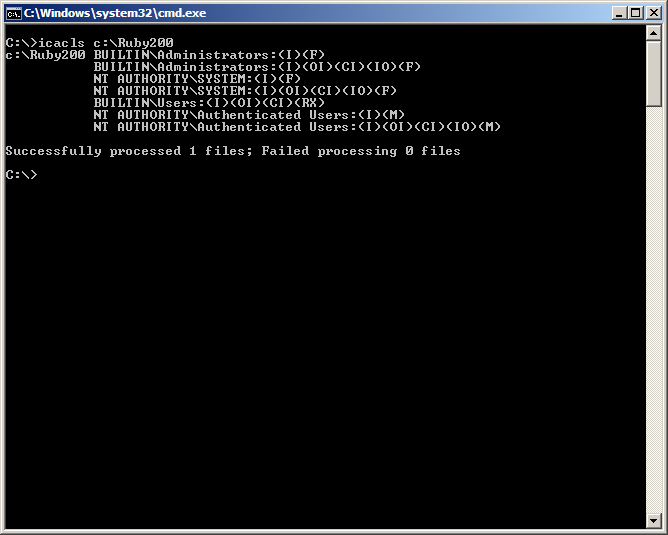 In this case wlbsctrl.dll does not exist on the system so it will go through the entire search order. Now for the most important part “Weak folder permissions”. When new folders are created in the root it is writeable for all authenticated users by default. 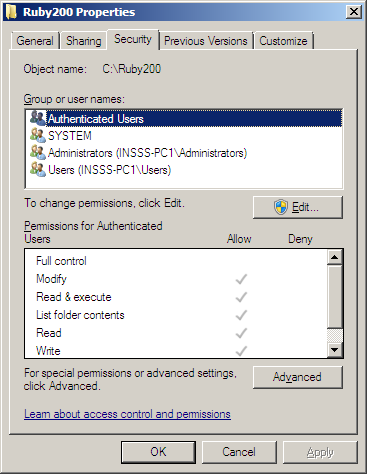 The “NT AUTHORITY\Authenticated Users:(I)(M)” gets added to the folder where M stands for modify access. So any application that gets installed on the root can be tampered with by a non-admin user. If binaries load with SYSTEM privileges from this folder it might just be a matter of replacing the binary with your own one. It gets interesting when applications gets installed in the root and add its path to the system path environment. 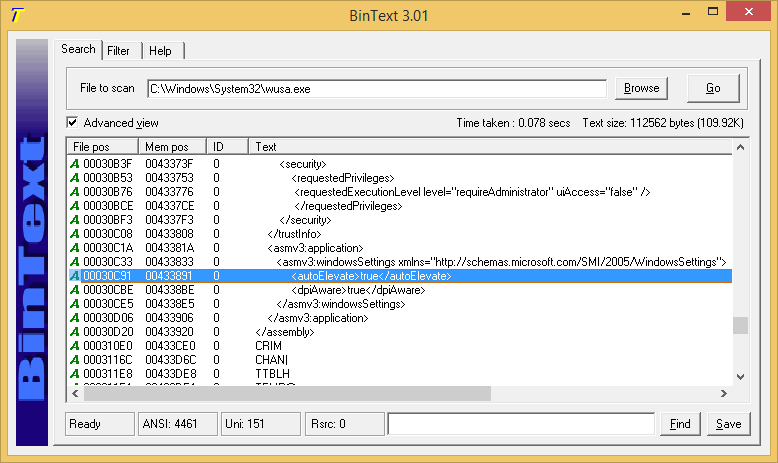 This now opens the attack surface for a large number of applications that may have DLL hijacking vulnerabilities. One scenario is software getting pushed onto machines, with the likes of Marimba, Landesk, etc. 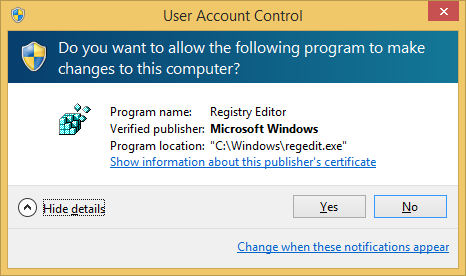 which use a Windows service running with system privileges to install the software. Since it runs with system privileges software pushed onto machines such as Perl, Python or Ruby it will add to the system path environment if adding the path had been set in the package along with being installed on the root as default. Or it could be an IT support personnel installs the software with their admin rights for the user. 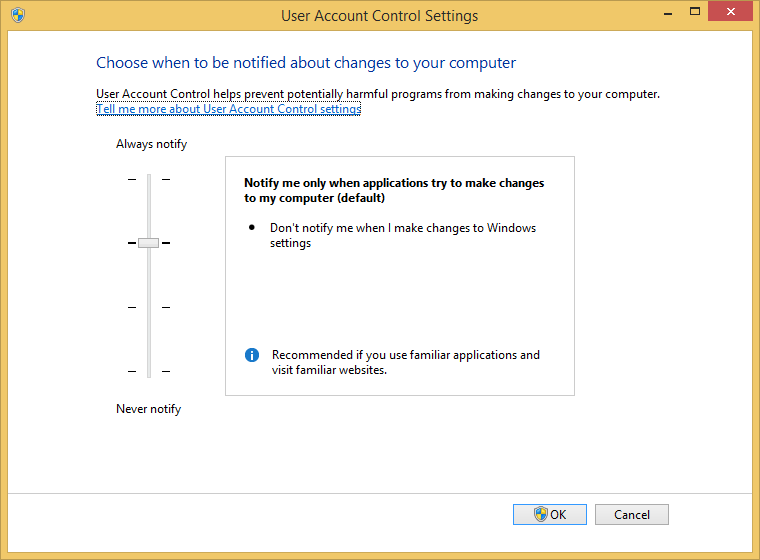 If a user installs manually (if possible) with non-admin rights then it may be added to user path environment and then exploitation would not be possible. 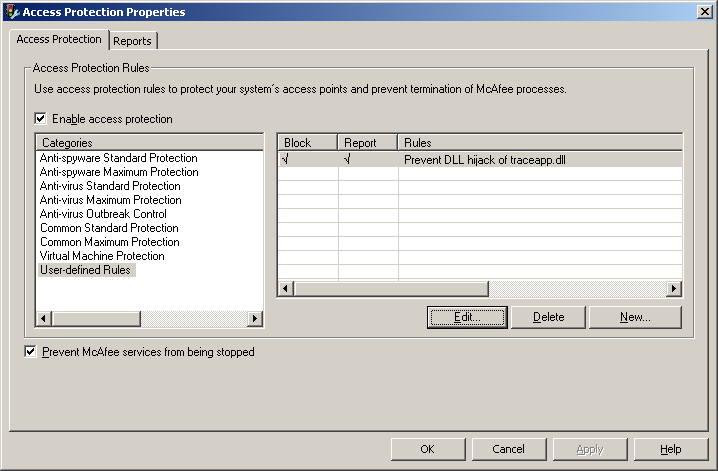 We can use icacls.exe to check the permissions of the folder or by the folder properties security tab. 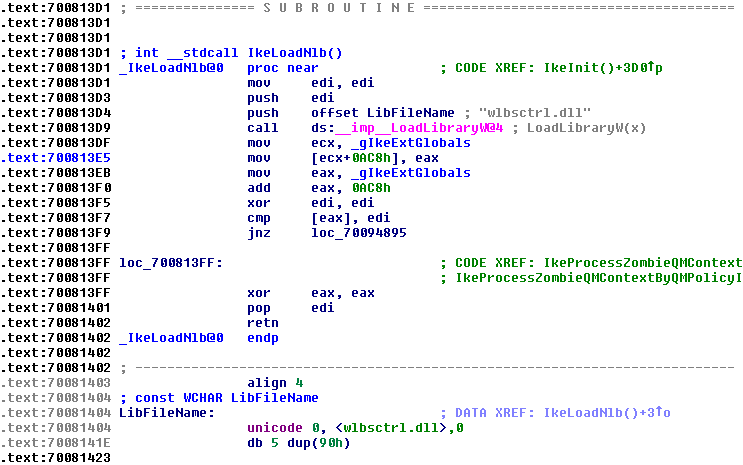 All we need to do now is drop our malicious crafted DLL wlbsctrl.dll in C:\Ruby200\bin, reboot the machine and it will carry out its action under SYSTEM privileges. Users requesting Ruby, Perl, etc. are probably developers and have rights anyway but there may be other software which gets installed on the root and adds to the system path where limited users might take advantage of and this where we need to do our assessment and make any changes before being deployed. 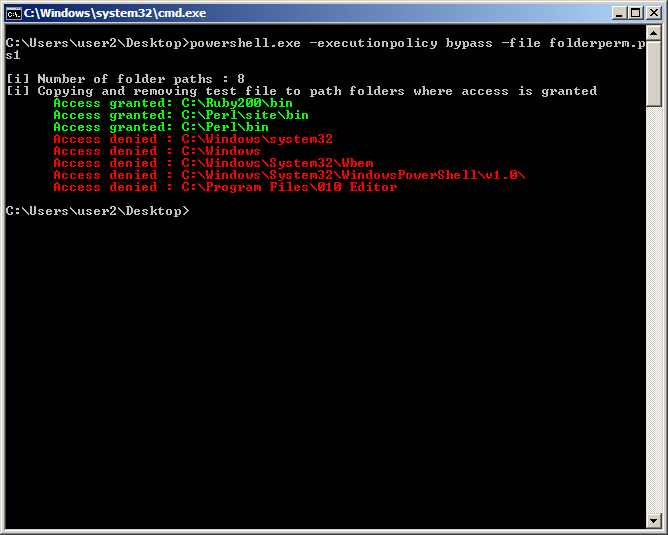 I wrote a simple PowerShell script you can download from here that can be used to quickly check vulnerable path folders. System path environment variable comes first and then user path environment variable. Running it in a medium integrity shell for an admin or non-admin user will give the same results. The Windows Media Center Services startup type is set to manual and status not started and will only give us only Network service privileges so I cannot see it to being much use especially with its limited privileges. It can however be started temporarily via certain scheduled tasks. No dll hijacking vulnerabilities were found on a clean default installation of Windows 8 OS (64) so another good reason to start migrating to Windows 8. There are a number of mitigations available to prevent this vulnerability to be exploited by using certain API’s, changing registry settings, applying updates, etc. it does start to get confusing as to what we are mitigating so hopefully this section will make it a bit clearer. The value data can be 1, 2 or ffffffff. If the value name CWDIllegalInDllSearch does not exist or the value data is 0 then the machine will still be vulnerable to CWD attack. Please be aware that the value ffffffff could break certain applications. The search order is the same but this time if a malicious DLL is located in the current working directory the library is not loaded. Previously I carried out tests on CWDIllegalInDllSearch values which you can check the results on my earlier blog post. If this parameter is NULL, the function restores the default search order. Calling the SetDllDirectory(“”) or SetDllDirectory(“C:\\program files\\MyApp\\”) disables SafeDllSearchMode and uses the search order described for SetDllDirectory. LoadLibraryEx function  takes another argument where a flag can be set to change the search order but I didnt get round to test it. This post shows us how easily elevated privileges can be achieved with very little effort. Ultimately the solution is simple by just making sure all software gets installed in the C:\Program Files folder which will then inherent it’s more secure folder permissions. Malware could take advantage of this weakness not only to obtain system privileges but also to automatically load its malware making it that much harder to pinpoint its auto start entry points.